Looking for the perfect engagement ring but don’t know where to start? We can help you with “The 6 Step Guide To Choosing The Perfect Engagement Ring”. Deciding on the budget is a very important step. You need to calculate an amount that you will be comfortable with – the old theory of ‘spending 3 months salary’ is extremely outdated and in most cases very unrealistic. We want you to be happy to spend this amount on your partners’ engagement ring, after all – these are exciting times! At Diamonds and Pearls we aim to please. When you give us a budget to work with we strive to help you get the best value for money while providing you with top quality goods and exceptional service. You don’t have to break the bank to get the perfect ring! There are many different options to choose from when it comes to selecting a central stone. The most traditional stone to be set in an engagement is a diamond. There is a lot to learn about the different characteristics of diamonds. Luckily the certified staff at Diamonds and Pearls will be able to teach you all you need to know! We can start with the basics then go into as much depth as you’d like. For a run down on the 4 Cs of diamonds click here or for a step by step guide on selecting the right diamond for you click here . However diamonds are not your only option! There is a large range of precious and semi-precious coloured gemstones that would be perfect for an engagement ring. There are a few things to consider while looking at gemstones to make sure they are durable enough for every-day wear, find a fantastic outline of these facts here. The colour and type of material that the ring is made from is quite a personal choice. It can change the look of the ring considerably. It is best to look at any other jewellery your partner wears. If she wears all colours of gold (white, yellow and rose) you could consider incorporating a couple of colours into a two tone ring. For descriptions, pros and cons on the selection of metals available visit our page here. You’ll find most women have an idea of ring they’d love. More often than not she will subtly (or not so subtly) hint these ideas to you. Start by keeping an eye out for magazines left open on jewellery pages, and begin paying attention when she drags you over to jewellery store windows! If she doesn’t help you out with any hints, don’t stress! You know her better than anyone and we will help you to select the perfect engagement ring. If you trust her best friend to not ruin the surprise maybe she can help you out as well! There is always the option of buying a loose diamond to propose with and then she can join you on the custom design journey or chose from our massive selection of ring mounts. For some inspiration on different designs head over to our engagement ring page here. Or take a look at our loose diamond selection here. Keeping in mind you are not limited to these diamonds – we are more than happy to source the ideal diamond for you! There are a few different methods to get an approximate ring size without giving any surprises away… but the most accurate would be if she wears a ring (take note of which finger) You can either take it in to a jeweller and have it measured on a ring stick or try it on one of your fingers and mark how far down your finger it fits to (or take a photo of it on). The good news is, most rings are able to be resized within a few sizes up or down. The team will be able to steer you in the right direction when it comes time to think about this. It’s good to have an approximate idea of when you’d like to pop the question. This will allow you time to consider everything listed above, make a decision and plan your finances. It will also give you time to plan the perfect proposal! 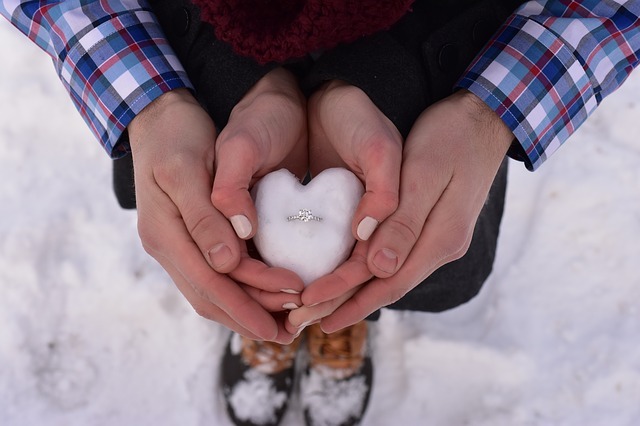 For wonderful proposal ideas click here. If you have any questions or would like to come in and discuss your perfect engagement ring you can contact us using the form below.